Invert Sports offers executive fractional houseboat and watercraft shared ownership with competition MasterCraft wakeboard - water ski - surf boats, houseboats, and Yamaha jet skis at Lake Powell National Recreation Area in Page, Arizona, Halls Crossing, Antelope Point and Bullfrog Marina, UT! 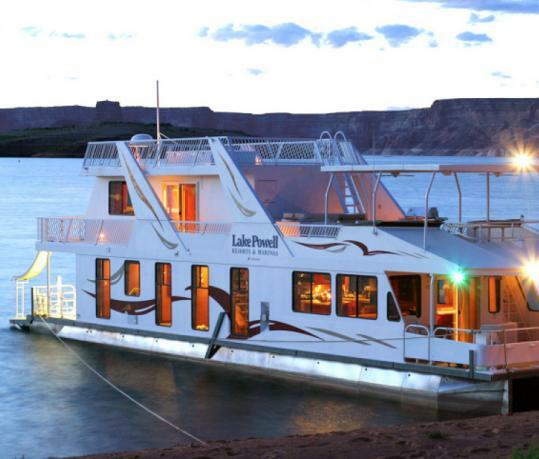 This allows you to own a little piece of the best equipment available on the waters of Lake Powell. For those of you who already have a shared ownership houseboat at Lake Powell, and do not have your own boat, and personal watercraft; or if you would like to upgrade your own watercraft without all the hassles, and cost of owning it all yourself; this is a perfect fit! For those of you who would like Lake Powell to be one of your yearly vacations, and you don't want to take care of all the upkeep, insurance, registration, storage, winterizing, and hassle of a houseboat, and watercraft; this is for you! We have up to 18 prime weeks available for Lake Powell on these two models of MasterCraft boats. These boat models have almost every upgrade, and are fully loaded with all the latest water sports equipment you could think of; so you don't have to bring anything with you. 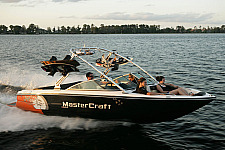 The MasterCraft X-26 holds up to 18 people, 26' 5" long, with a 522 hp engine. The MasterCraft X-10 holds up to 14 people, 21' 3" long, with a 350 hp engine. In addition to your tournament wakeboard boat we have two models of 2018 Yamaha 4 stroke jet skis available for shared ownership. These jet skis hold up to 3 people, and can pull almost any water toys behind them. 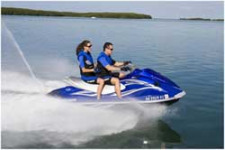 Pricing for these shared ownership jet skis include two machines. Check out our luxury houseboat shared (fractional) ownership. Antiqua is a 72' houseboat with 2 master staterooms including baths, two down cuddies for the quests, 1/2 bath on the rear deck, beautiful kitchen & salon with surround sound. Shared ownership is a way to own a part of the boat to enable you to enjoy spending time on your own boat but sharing the initial purchase price and annual running costs. There is a onetime cost to owning a percentage of the boat, in return you receive one prime season week at Lake Powell with the option of using an off peak season week as well. You may also trade, buy another owners week, or sale your ownership. The boat is managed for you so that you spend your time cruising rather than on administration and maintenance. Shared ownership is different from a timeshare in that with a shared ownership you actually own a percentage of the boat, and with a timeshare you have purchased a membership to use the boat so many times per year, but do not own any portion of the boat. Invert Sports offers timeshares, rentals, and a shared ownership to accommodate any customer. If you want the whole package with all the best equipment to make your trip memorable this is the perfect houseboat, ski boats, and jet skis available. Here is what you get when owning a shared ownership. 1. Houseboat, wakeboard boat, and equipment are located 15 min. away from all marinas; Wahweap, Bullfrog, Halls Crossing or Antelope Point Marina at our location in Page, AZ. 2. The boats will be maintained and clean when you arrive. 3. We launch and retrieve all watercraft for you. 4. We clean, fix, and store the boats when your done.